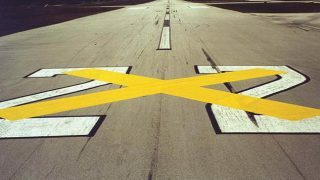 A housing estate and Ikea superstore to be built next door to Brighton City Airport (Shoreham) has prompted the All-Party Parliamentary Group for General Aviation (APPP-GA) to urge the Secretary of State to extend aerodrome safeguarding. The development, known as New Monks Farm, has been described by local MP Tim Loughton as “a massive over-development of the area which will be detrimental to local residents”. 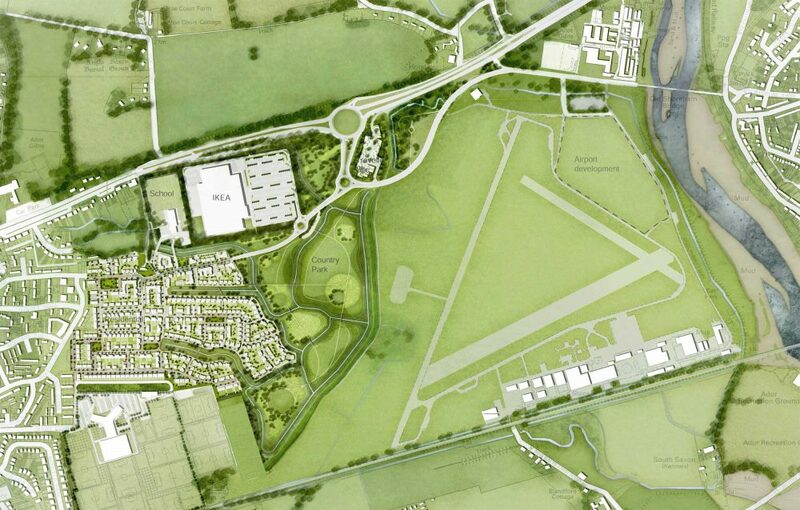 It’s the development to the west of the airport in the masterplan illustration above. “Shoreham is one of the busiest aerodromes in the country and is a popular spot for training aircraft on the south coast,” said the APPG-GA.
“Yet, incredibly, the decision to locate a significant development next to the airport involved minimal consultation with the CAA and no technical advice on the potential impact created by its proximity to the runways. Currently, all airfields licenced by the CAA are required to safeguard their own operations from planning developments in their area. This is achieved through controlling the land surrounding aerodromes to protect vital safety infrastructure like navigational aids and approach and departure routes. In a letter to the Rt Hon Chris Grayling MP, Secretary of State for Transport, the APPG-GA calls on the Government to extend the safeguarding responsibility for airfields to the CAA. Grant Shapps MP, Chair of the APPG-GA, said, “We appreciate the Department for Transport is carrying out important reviews of aviation policy, but the delay in enacting these relatively simple changes leave our GA airfield infrastructure open to a continued battering by misinformed planning authorities, resulting in erratic and inconsistent planning decisions. “Meanwhile, the irreplaceable damage to the General Aviation network, STEM-related jobs and technical training continues to harm Britain’s economy as we prepare to exit the EU. Although I support the APPG-GA whole heartedly, they’ve missed the point and suggested the wrong solution. There are 28 Statutorily Safeguarded aerodromes in the UK. The list is administered by the DfT and also includes Technical Sites. The error that needs correcting is that all UK Licensed or Certificated Aerodromes should be on that list. This means they have to be informed of a planning application that affects them by reference to the Safeguarding Map lodged by the Aerodrome with the Local Planning Authorities. 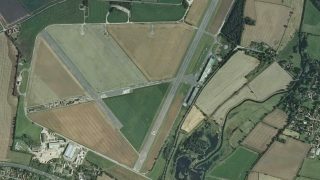 Should an application be objected to on air safety grounds by the aerodrome and yet still passed by the LPA, it can be ‘called in” by the Secretary of State. The CAA have a role in the process at that point. When the CAA was responsible for all aspects of safeguarding nationwide it supported a staff in excess of a dozen specialists. Not something they’ll ever contemplate now. 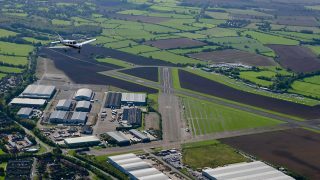 However, a straightforward rule change would give aerodrome owners legal powers to argue against developments that affected safety in the air.